It’s been a minute since I’ve posted an update to the site, mostly because we’ve been busy with other things aside from trains (house projects, holidays, weekend adventures, and work). That being said, we did take some time today to head up to Woodstock, GA to check out Eric Siegel’s layout as part of the Piedmont Pilgrimage. 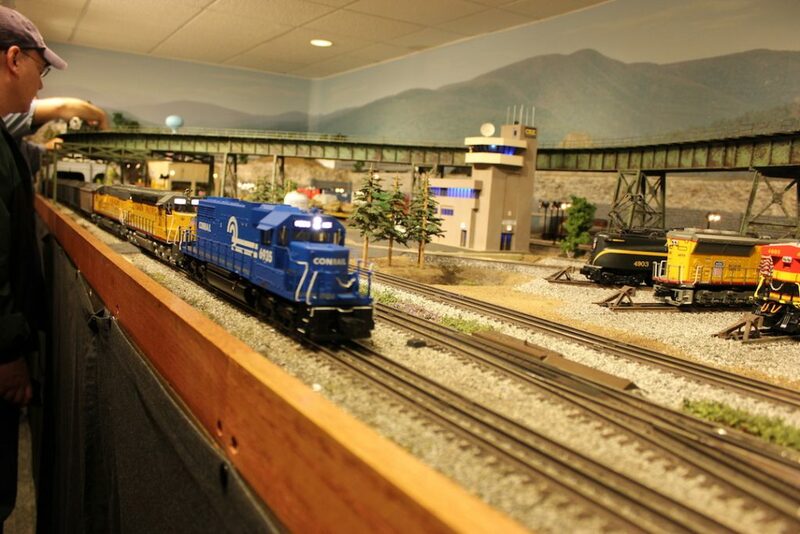 Eric is well-known in the hobby thanks to his YouTube series Eric’s Trains. We arrived right as doors opened at 10am and were surprised to see there was already quite a showing. We were greeted by Eric’s partner who was extremely warm and accommodating. We learned from her that they expected about 500 people to visit today which is incredible and a testament to their hospitality and hospitality! 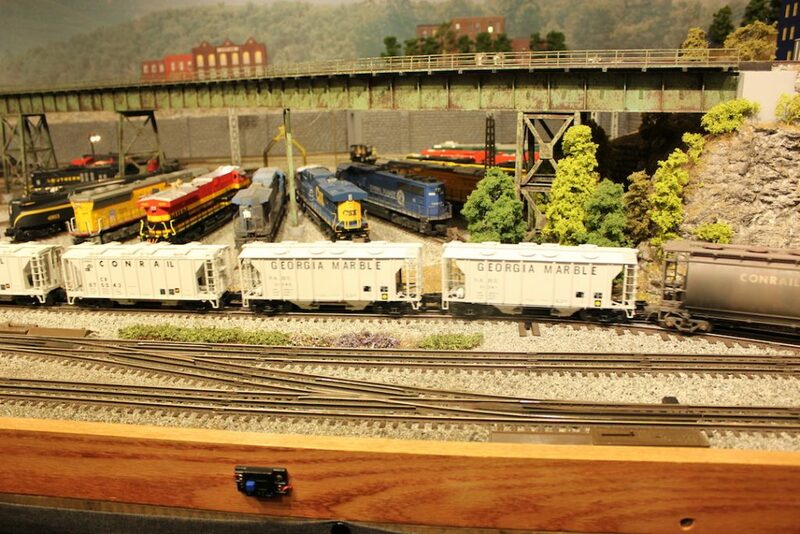 We admired Eric’s collection on display as we made our way down into the basement to see the layout in person. In the basement, quarters were tight due to the number of people visiting as well as the sheer size of the layout, but we managed to make it to every room to see the layout in its entirety. Our first takeaway was what an incredible job Eric did making use of his space – it’s a bit difficult to get a sense of scale of the room and layout from his videos and his live webcams, but when you see how the different rooms and tracks tie together in person, it’s incredible. 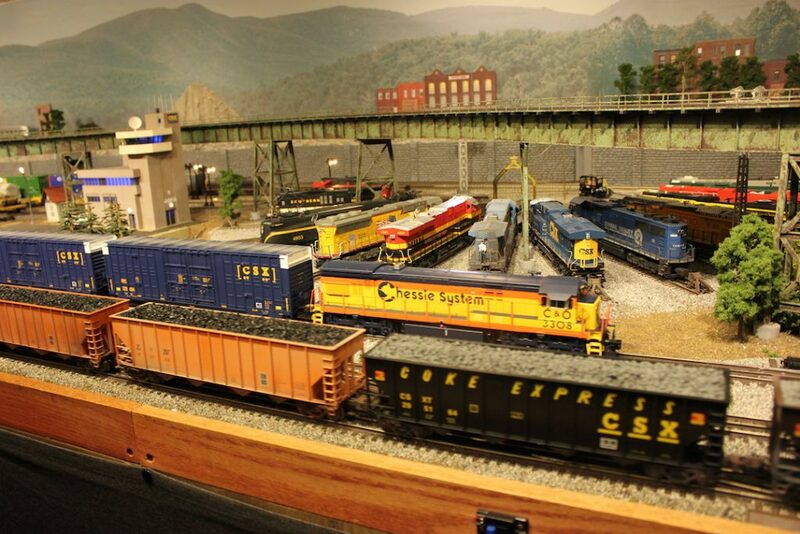 He has done an amazing job of maximizing his trackage in an interesting and dynamic way within the bounds of his rooms. 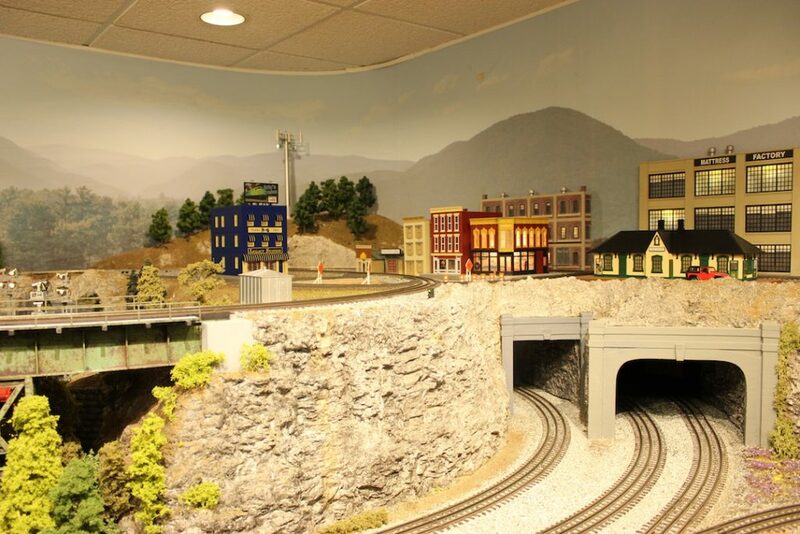 The trains weave in and out of tunnels, around buildings, over roads, and through multiple rooms, making the operation of the layout mesmerizing and entertaining. 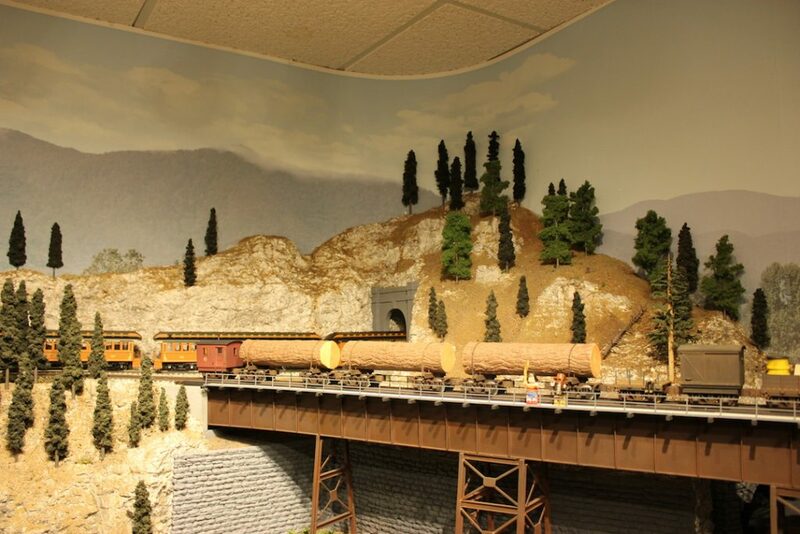 Our second takeaway was the immense amount of detail featured on his layout – not just realistic scenery, mountains, and buildings, but also details like figures, roads, backdrops, and terrain changes. 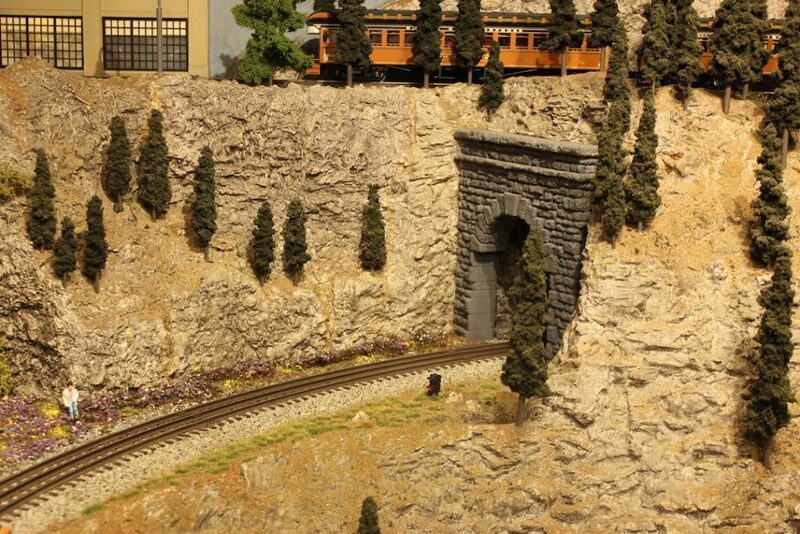 It’s obvious up close just how much time, effort, and thought has gone into his layout. Our third takeaway was how impressive Eric’s collection is. If you watch his YouTube series and see his hundreds of reviews and how-tos, this won’t be a surprise to you, but much like the effective use of space, you don’t get a full appreciation until you see it on display, both in cases and in operation. Our last takeaway is that Eric is a really good guy – never mind the fact that he welcomes an untold number of strangers into his home, he takes the time to answer questions and speak with his guests. I’d be lying if I said it wasn’t a bit surreal to finally get to meet him in person after watching hours, we felt like we already knew him, however at the same time, he knows nothing of us! 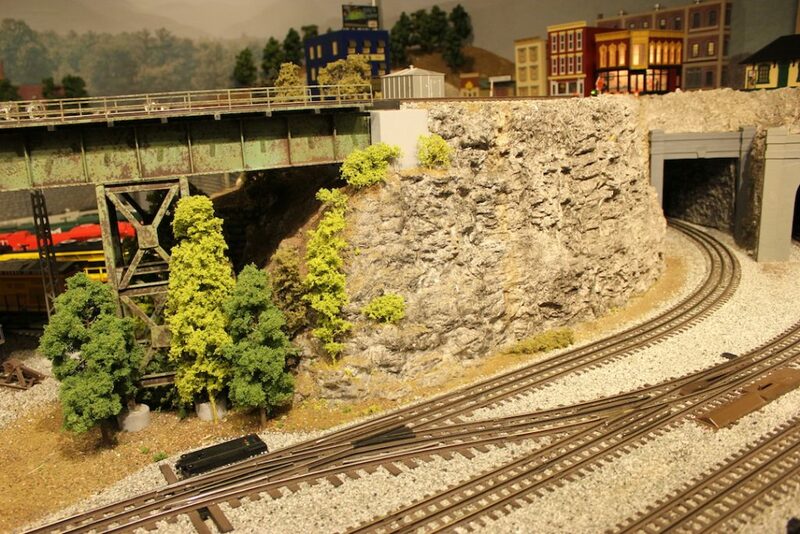 We really enjoyed speaking with him, learning about his collection and layout, and gleaning tips and tricks on how he created his masterful layout. Selfishly, we wish we could have stayed and talked with him all day, but we know he had other guests to attend to, and trains to run! This entry was posted in Uncategorized by mattslotten. Bookmark the permalink.